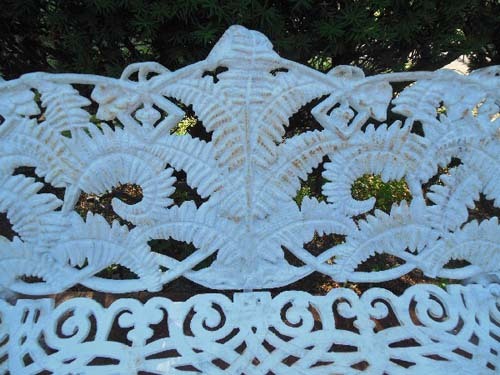 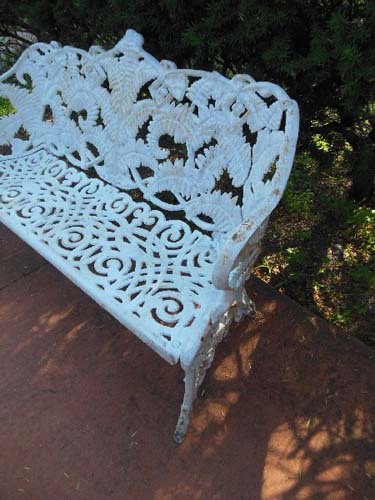 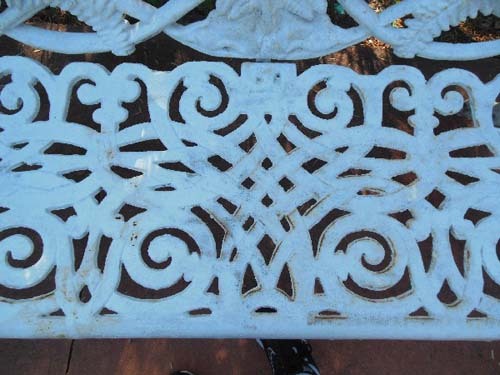 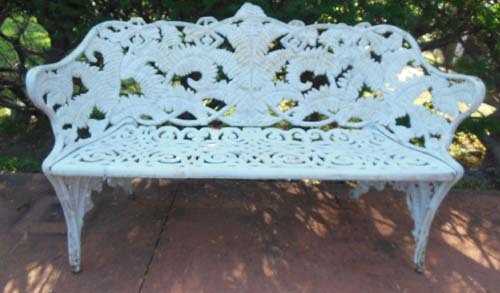 A Cast Iron garden bench in the popular Victorian Fern pattern. 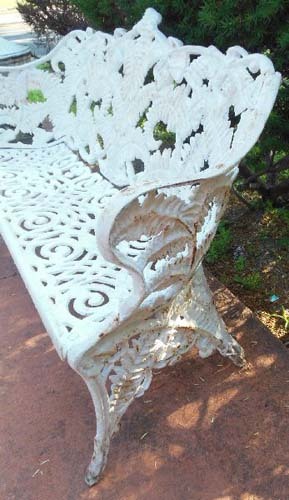 Botanical Themed benches were most popular in the late 19thC. 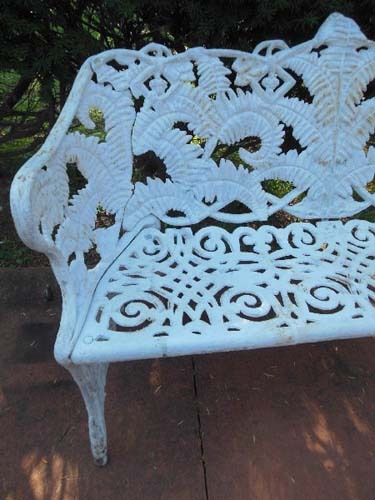 Other floral benches in inventory, are the "Passion Flower" & "Laurel" pattern.